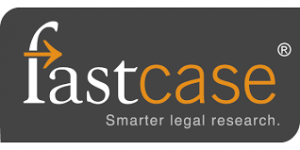 Cloud-based legal research software Fastcase offers users features which are not available on more mainstream legal research sites. 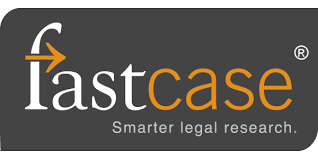 Offering the usual legal citation search functionality and comprehensive, up-to-date legal databases, Fastcase also offers users a unique ranking system for search results. This system is designed to cater for the fact that legal research almost always involves delving into a very specific area of law rather than generically searching for cases. This presumption has led the Fastcase team to feature a search function which shows not only how popular a particular case citation is in terms of how many times it has been cited in other cases but also demonstrates its popularity based on how many times the term has been cited in that particular area of law, providing search results which are arguably far more relevant. 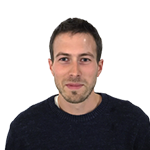 Other functionality includes a URL function which allows the URL of a specific search to be emailed to a clerk or assistant for them to then re-run the search from where you left off. Of particular note is a distinctive data visualisation search tool which allows users to display all cases on a particular topic on a timeline, easily showing when that area of law became most prevalent, hover-over options within the display also allow instant access to top-line details about the case. This innovative feature makes it far easier for users to gain an overview of the legal landscape in a particular area of law and across a particular period of time. A feature which is likely to be particularly popular with law students cramming for exams! Ravel Law is a legal research app designed around data visualisation. Performing a search will give you a list of cases ranked by relevance, accompanied by a map containing the top 75 cases from your search. Circles within the display are sized according to the number of citations that each case received, with each circle representing a case. Larger circles receive more citations, these are likely to be seminal cases. Lines connecting cases show citations between them and arrows the direction of the citation. Features such as the court filter can be used to sort results. This shows the court level from which a case originated and the case publication date. Another filter groups cases sharing a citation network and which therefore relate to each other. Ravel also employs “big data” technologies to increase the power of their case analytics function. The Star Reading System provides guidance about the most important passages in each case and helps lawyers identify subsequent areas for analysis. Opening a case on a particular area of law will also open all subsequent discussion of this main case in other case law and display it to the left of the main case. Ravel then analyses the citations from each page of the main case and alerts you to high levels of discussion with the star rank. The more stars a page receives, the more the main case has been discussed by other cases. Most interestingly, Ravel also analyses each page of a case citation in relation to each page of the main case and determines the context and manner in which the main case is being interpreted by those cases. Ravel then groups these case discussions by the nature of their interpretations, so you can see how the other cases analyse the main case. Ravel is unique in the sense that it performs all this analysis on one page, along side the main case you are previewing. The use of algorithms to analyse the law might sound slightly unnerving and a little sci-fi, but Ravel has the potential to transform legal research with this in-depth analysis feature. One other feature worth mentioning is Ravel’s intriguing Judge Analytics function with the aim being to provide a detailed insight on every judge within a particular jurisdiction. Currently limited to the USA, the tool provides information about the cases and courts a judge has cited in the past and which they might be predisposed to hear arguments from. The idea behind this is that it makes available the kind of in-depth knowledge which could only previously be made available by an army of legal researchers and a huge budget. The legal profession is client-servicing by nature: a fact which brings with it a raft of tasks which relate to each particular client, matter or case that a law firm handles. Correspondence must be sent, paperwork must be scanned and stored securely, appointments must be diarised, case notes and billable time recorded, to name a few. Added to this are the complexities of keeping track of legal processes and dates such as court deadlines or document submission deadlines. Finding technology which can effectively bundle these tasks into one application is a challenge. Any effective case management system needs to facilitate and organise this array of tasks as well as enabling a law firm to keep track of communication with clients for each case, the best systems will also offer clients numerous contact channels, enabling contacting their lawyer to be stress free. Finally, these systems will need to be bespoke, and adaptable to the individual needs of each law firm – customisability is key to a good case management system. Mycase claims to be the only legal case management software to feature a secure client web portal allowing clients to view, download and comment on documents. This is likely to be an invaluable feature for firms wanting to improve the level and quality of communication they have with clients. Other features include collaborative calendaring, document management, easy case note recording and a function which allows tasks to be created and delegated. MyCase also offers a document generation function which aims to remove the hassle from generating complex formal legal documents. At the click of a mouse, a pre-created document template stored on the system can be populated with the relevant client and case details, greatly expediting the task of producing correspondence. A limited set of financial features is also available, including time and expense tracking, the ability to receive online payments from clients, online reporting of billable time and invoice creation. Proclaim offers a comprehensive case management software for law firms, and is used by over 22,000 professionals in a number of different sectors. The software offers powerful data storage; fast and efficient production of documents based on a wide range of templates; a searchable document library of scanned documents providing a crucial knowledge store for research and new business prospecting tools linked to all major social media channels. A diary and task management function and seamlessly integrated cost and budgeting tools are also on offer, along with fee-earner time recording and a built-in work flow to ensure files are dealt with consistently and efficiently. Compatible with all major browsers, LegalTrek’s UX centres on a main daily schedule screen which includes personal and company events and tasks by day, week or month. A client management module shows personal or company wide client lists, depending on user access preferences. A separate matters module shows user involvement with matters and offers users a status update for each matter. LegalTrek allows documents to be attached to clients, matters or tasks and a document assembly module automates frequently created documents. A billing management module shows charges and billable time filtered by client or matter. An entirely web-based product, HoudiniESQ can be deployed in-house or in the cloud and is accessible from nearly any device. Feature-rich and flexible, HoudiniESQ claims to centralise vital data and communication by managing clients, leads, contacts, contracts and schedules as well as retainers, expenses, time and billing. A search function enables efficient access to all data, documents, emails and email attachments, while a built-in document generation tool allows documents to be generated and sent. The service integrates with a wide range of software including Word, Outlook, Excel, WordPerfect, Acrobat, QuickBooks and OpenOffice. A case management workflow function enables streamlining of processes on each case and ensures that tasks do not get missed. 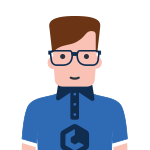 Flexibility is key to the software, it claims to be fully customisable and can therefore be adapted to suit the needs of individual firms. While not a case management app, DocuSign makes online document signing simple and secure – a highly useful tool for the modern law firm. Users can upload documents for signing in a variety of formats, mark the fields for signing and add the names of signatories. Recipients will receive a link to a secure portal where they can sign and return the documents electronically. Bill4Time is a time recording app that allows users to easily record and keep track of billable time. The software can be accessed from a smartphone or tablet and features one-click time recording and one-screen batch entry as well as a diary sync function which allows appointments and time entries to be consistent. Customisable and batch invoicing as well as 24/7 client access to a secure payment portal along with a Quickbooks plugin, make this software highly relevant for the modern law firm. Bill4time also Features a customisable dashboard allowing users to review and track detailed activity relating to billed time. A passive time recording device, Chrometa automatically captures all billable time by running in the background and making note of your activities. Open or compose an email, draft a document, conduct web research and your time is captured automatically. Time is grouped by application and the app gives a breakdown of time by activity. Chrometa automatically starts its own timer by monitoring keyboard and mouse activity – very useful because it avoids the need for a fee-earner to stop or start a timer each time they move from one task to another. Proclaim Accounts can be used in conjunction with Proclaim and provides control of account information, with security preferences for each user. Proclaim Accounts caters for the full range of financial postings, including standing orders, direct debits, prepayments. Reversal of erroneous postings can be done efficiently and “quick postings” can be performed from within individual matter screens. Other features include an office and client ledger display; colour coding of positive and negative figures; a display of underlying double-entry detail; full billing details related to profit costs, VAT and disbursements; allocation of monies received and the ability to insert narrative to explain entries. 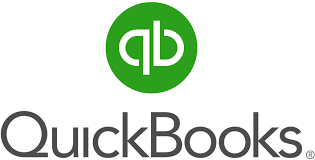 Cloud accounting software Quickbooks can be tailored to the specific needs of a law firm via the Quickbooks MyCase Law plugin. Describing itself as “the most robust integration in the legal practice management industry”, the plugin provides a one-way sync of your firm’s MyCase accounting data into QuickBooks. There is no monthly fee for this sync, only a one-off fee of $99. The app provides synchronisation of detailed invoice data, recording of payments on invoices, trust account transactions, cash and accrual accounting among other features. The benefits of subscription software are well known, whether it is the latest film from Netflix, cloud file storage or an innovative solution for marketing your business. 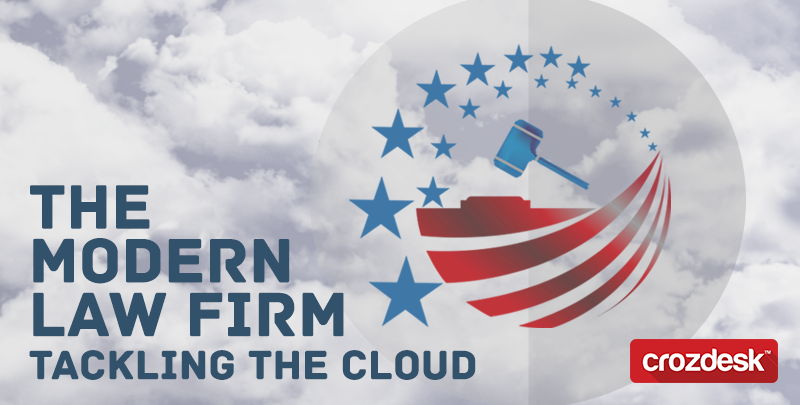 It is clear that the legal industry is no exception; the range of specific legal SaaS software means that law firms need not operate as they have done previously, tied to outdated and poorly fitting server-based software. California-based Attorney at Law, Zachary C. Strebeck, an early-adopter of SaaS legal software, is certain these apps have changed the way he works: “It’s an exciting time, with all of these digital tools, I’m able to run my practice from anywhere in the world. I’m completely virtual, so I basically live and die by these services.” If this ringing endorsement of SaaS software in the legal workplace is anything to go by, cloud-based legal software solutions are set to have a significant impact on the worldwide legal industry. Hi Tristan – thanks for the great lineup of SaaS products for law firms. Please consider reviewing the web-based law practice management software, Cosmolex. They have business and law firm accounting fully integrated into their practice management software, removing the need to pay for a third-party vendor such as Quickbooks! They’ve also integrated with LawPay, making it easier for law firms to accept credit card payments, which is surprisingly harder to do than it seems. Let us know what you think!